Hallmark Santa’s Magic Cuckoo Clock is the best Magic Cord Christmas Ornaments that Hallmark has made and is absolutely one of their best of any type. It is a perfect gift for Christmas and must have for anyone that likes and collect these kinds of interactive ornaments. Ornaments are just charming, and surely attach sparkle to your Christmas tree. Adorable Santa’s Magic Cuckoo Clock plays music, light up and then some of the characters move. Drag the mass at the bottom and it rotates and plays the music. Animated lights remain to silently rotate through their colors as long as the ornament is plugged in. 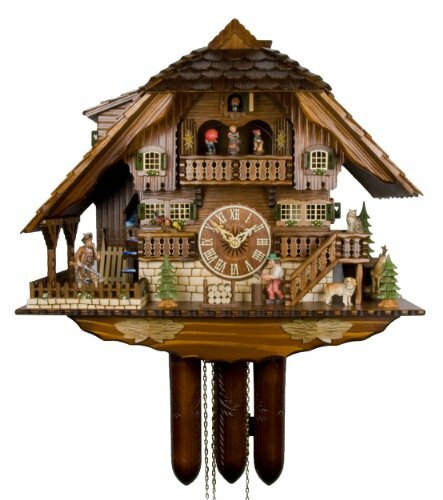 The Santa’s cuckoo clock front spins and other characters rotate to music. The melodies are playing for approximately 20 seconds, then 15 seconds of tick tock. And then it’s quiet and still, with just the light show.